London, 22 Mar, Abnews: Global energy-related carbon emissions rose to a historic high of 32.5 gigatonnes last year, after three years of being flat, due to higher energy demand and the slowing of energy efficiency improvements, the International Energy Agency (IEA) said. Global energy demand rose by 2.1 per cent last year to 14,050 million tonnes of oil equivalent, more than twice the previous year’s rate, boosted by strong economic growth, according to preliminary estimates from the IEA. Energy demand rose by 0.9 per cent in 2016 and 0.9 per cent on average over the previous five years. Over 70 per cent of global energy demand growth was met by oil, natural gas and coal, while renewables accounted for almost all of the rest, the IEA said in a report. Improvements in energy efficiency slowed last year. As a result of these trends, global energy-related carbon dioxide emissions increased by 1.4 per cent in 2017 to 32.5 gigatonnes, a record high. ‘The significant growth in global energy-related carbon dioxide emissions in 2017 tells us that current efforts to combat climate change are far from sufficient,’ said Fatih Birol, the IEA’s executive director. 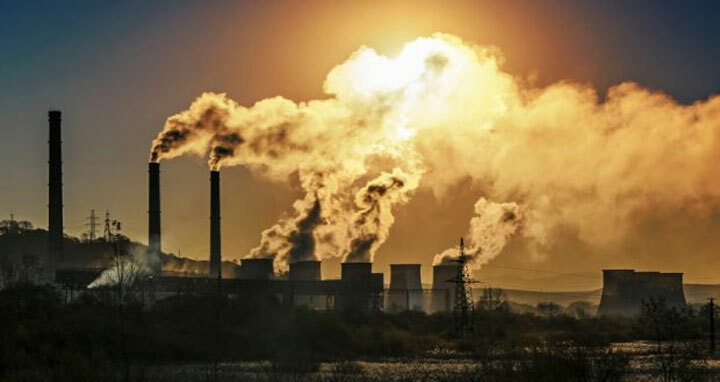 Carbon dioxide emissions are the primary cause of global average temperature rise, which countries are seeking to curb to avoid the most devastating effects of climate change. At talks in Germany late last year among almost 200 nations about details of a global climate accord, scientists presented data showing that world carbon emissions were set to rise 2 per cent in 2017 to a new record. ‘Global emissions need to peak soon and decline steeply to 2020; this decline will now need to be even greater given the increase in emissions in 2017,’ the IEA said in its report. The IEA said Asian countries accounted for two thirds of the global increase in emissions. China’s emissions rose by 1.7 per cent to 9.1 gigatonnes, limited by renewables deployment and more rapid switching to gas from coal. Most major economies saw an increase in carbon emissions, though Britain, the United States, Mexico and Japan experienced declines. The biggest drop came from the United States, where they were down 0.5 per cent to 4.8 gigatonnes due to higher renewables deployment. The IEA said oil demand grew by 1.6 per cent, or 1.5 million barrels a day, more than twice the average annual rate over the past decade, driven by the transport sector and rising petrochemical demand. Natural gas consumption grew by 3 per cent - the most of all fossil fuels - with China alone accounting for nearly a third of the growth. This was largely due to abundant and relatively low-cost supplies, the IEA said. Coal demand was 1 per cent higher last year, reversing declines over the previous two years, due to rises in coal-fired electricity generation, mostly in Asia.